Help a mermaid and her friends save the underwater kingdom from an evil octopus! 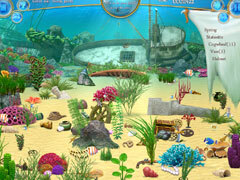 Once again, the underwater kingdom is in turmoil, thanks to the mischievous machinations of the evil octopus! The octopus and his servants have begun playing cruel tricks on the inhabitants of the undersea world, leaving a trail of frustration and strife in their wake. 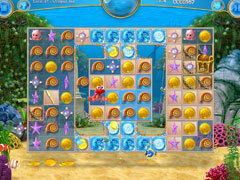 Now it is up to the brave mermaid, Alice and her equally courageous friends to restore order and happiness to the ocean! First she'll need to wake her friends from their slumber and enlist the aid of the wise sorceress, Turtle to assist them in their quest. 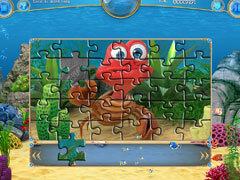 Help Alice and her friends bring peace and sanity back to the underwater kingdom in this gorgeous Match-3 adventure!